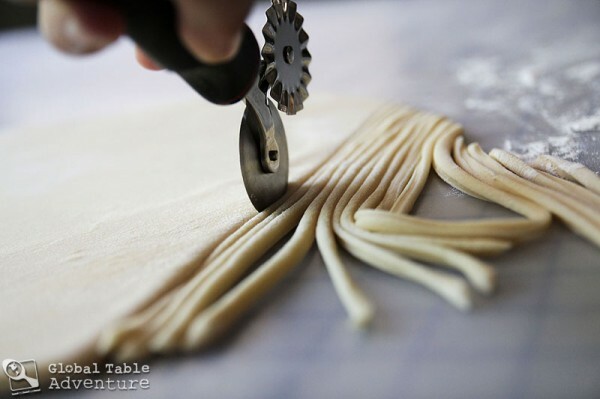 If you want to make noodles like a kazakh, you just need a bit of pasta dough, a rolling pin, and a cutter or knife. 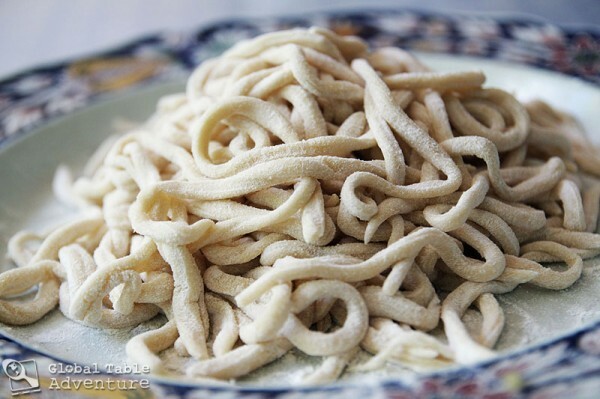 An egg pasta recipe, like the one we made for Italy, will work beautifully in central Asia as well. 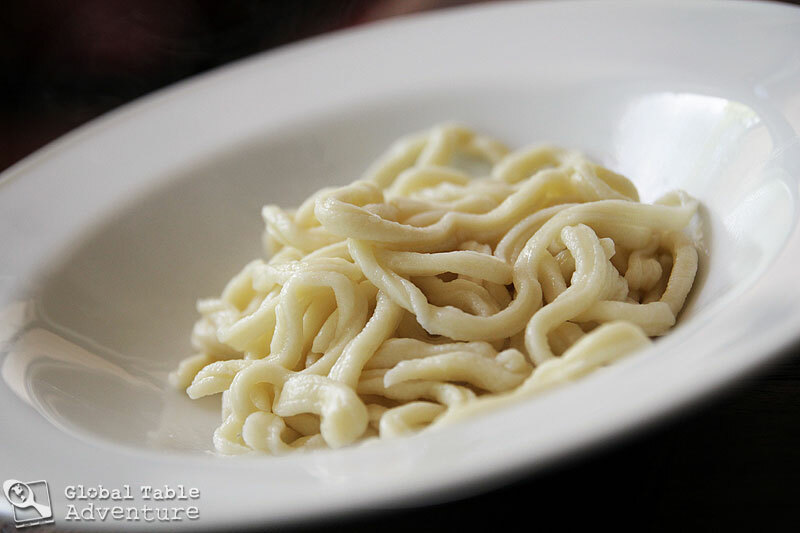 You can make the noodles as thick or thin as you’d like. 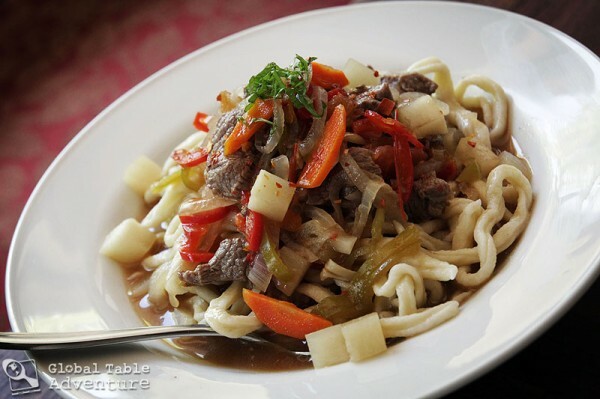 In Kazakhstan they generally like them pretty thick, like lo mein or udon. For this style, roll the dough out to about 1/4 inch or just under. Then cut in thin strips. Finally, toss them with plenty of flour to keep them separated. 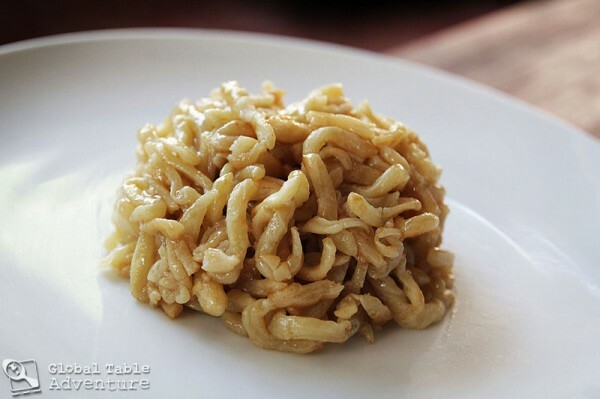 Cook immediately in boiling, salted water. Use as the base for an incredible stew called lagman shurpa. Enjoy on a cloudy day, when there’s a slight chill in the air and you almost wished you had a light cotton sweater to pull over your shoulders. Ahh, I love fall weather.